I just returned from an overwhelming weekend in Minneapolis at the American Craft Council Creating a New Craft Culture conference. It was overall and amazing experience as well as an opportunity to be surrounded by an amazing group of talent, knowledge and resources. I have a lot I would like to share with you about my experience representing my community as well as interesting reflections on other aspects of the weekend but I need time to sort out my thoughts as well as catch up with other parts of my life (i.e. the 100+ emails I need to answer since last Thursday). So, stay tuned with more thoughts on the ACC conference later this week. Coming up this weekend are two screenings. One on Saturday in Norfolk, VA that I will not be attending (information below) and the second is Sunday in Huntington, NY that I will be attending and doing a Q&A at, information for that HERE. 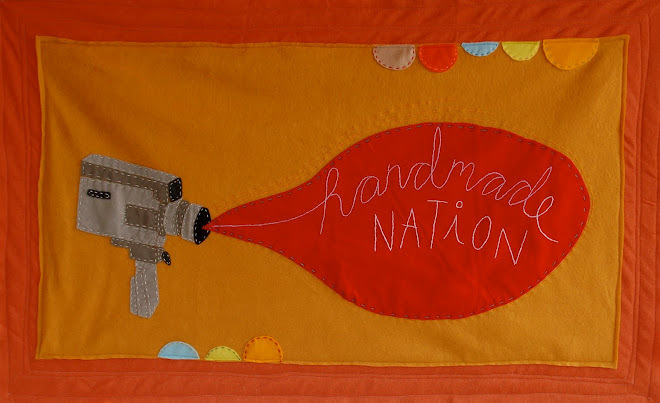 Seven Cities Crafters is a local artist cooperative and will be presenting a Handmade Trunk Show of arts and crafts before and after the film in the lobby and on Colley Ave from 3 to 5pm. 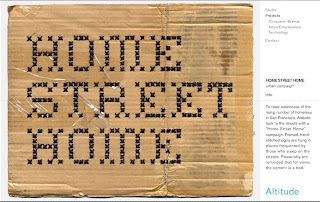 As a side note I received a package from Brian Singer of 1000 journals a week or so back with a cardboard card reading "Home Street Home" more information on the project that is raising awarness about homelessness in San Francisco visit http://altitudesf.com/. Buyolympia.com is responsible for the November release of the movie. BIG LOVE TO THEM! All information for retail and wholesale is right HERE for your convenience. I can not tell you how excited I am..... Can't wait to post a picture of me holding the first copy in my hand in a few weeks! Also a very special thanks to Kate Bingaman-Burt who lovingly did the DVD packaging design. P.S. I'm on the airplane on my way to SEATTLE for my screenings as I type this.... I heart airtran.